France has ratcheted up its draconian repression of free speech about Palestine with the arrest of a woman for wearing a T-shirt supporting the boycott, divestment and sanctions (BDS) movement. The activist was taking part in a march for International Women’s Day in Paris last Sunday when undercover police swooped in and detained her for wearing a piece of clothing with the words “Boycott Apartheid Israel” printed on it. According to the newspaper L’Humanité, officers from the Renseignements Généraux, the intelligence service of the French police, were involved in monitoring the demonstration in which numerous social justice and leftist groups took part. France remains under the state of emergency severely limiting public freedoms that was declared after last November’s atrocities by suspected Islamic State extremists who killed 130 people in Paris. The young woman was taken to Paris’ 3rd district police station for questioning. The woman has been summoned back to the police station for questioning at 2pm on Monday on suspicion of “inciting hatred by reason of [national] origin, through writing,” according to L’Humanité. Supporters are planning to demonstrate outside the police station at that time. The feminist collective 8 Mars Pour TouTEs denounced the arrest and pledged support for the activist and for the BDS movement. The left-wing grouping Ensemble has condemned the arrest, describing it as a consequence of the “security climate” in France. “Today, politicians who support the Israeli apartheid regime are out of arguments,” BDS France said in a statement. “They conflate anti-Zionism with anti-Semitism and terrorism, and take all the Jews of the world hostage, stubbornly insisting that they become accomplices of the war crimes and apartheid of a state which is foreign to them,” BDS France added. 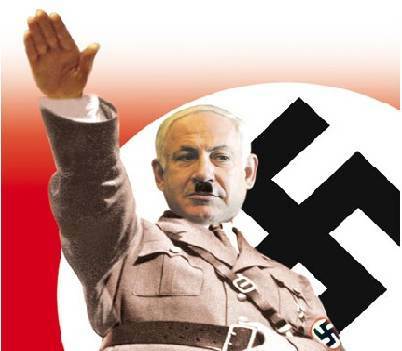 The campaign group said that with the growing global success of BDS, “a nonviolent, anti-racist citizen movement for the fundamental rights of the Palestinian people,” Israel and its allies in the French government had no recourse but to try to smear it as anti-Semitic. Court rulings and government decrees have outlawed calls to boycott Israeli goods, prompting defiance from French civil society. BDS France is also vowing not to fold under government repression. On Thursday, dozens of activists handed in an international petition at the Paris offices of Airbnb to protest the company’s profiting from the renting out of vacation homes in Israeli settlements in the occupied West Bank. As the photos published by BDS France show, the activists were proudly wearing their “Boycott Israeli Apartheid” T-shirts. On Saturday, activists will hold rallies all over France against the state of emergency. An action alert from BDS France urges supporters to wear their T-shirts at those marches too. This is going to be happening here also. No freedom of speech. Israel wants its puppet colony to obey. BDS wll grow and grow because it is just, right and supported by all jews of conscience. I think that BDS supporters in Paris should walk the same route that the international leaders walked during the "Je Suis Charlie" event. You mean, side by side with terrorists and war criminals? BDS wll grow and grow because it is just, right and supported by all humans of conscience. Je suis avec BDS. Où sont tous les Je suis en ce qui concerne les droits des Palestiniens. I am with BDS. Where are all the 'Je suis' when it comes to Palestinian rights. Thousands will now wear the BDS shirt in France. What are Hollande and Valls going to do- arrest them all? Then millions will don the shirt. Are they going to jail the nation? Let them try. This crap has to be confronted. La revolution française se meurt a petits coups. killing peaceful speech is an assault on democratic freedom. Our state is not "foreign" to us. That's what you refuse to see. Are you speaking for yourself? Or do you claim to speak for all Jews? Wonder what one would get if they wore a Tee with this as a graphic? Considering making up a few. Israel is like if Trump was elected president of the US – Israelis treat Palestinians worse than Trump is saying he'll treat Muslims.